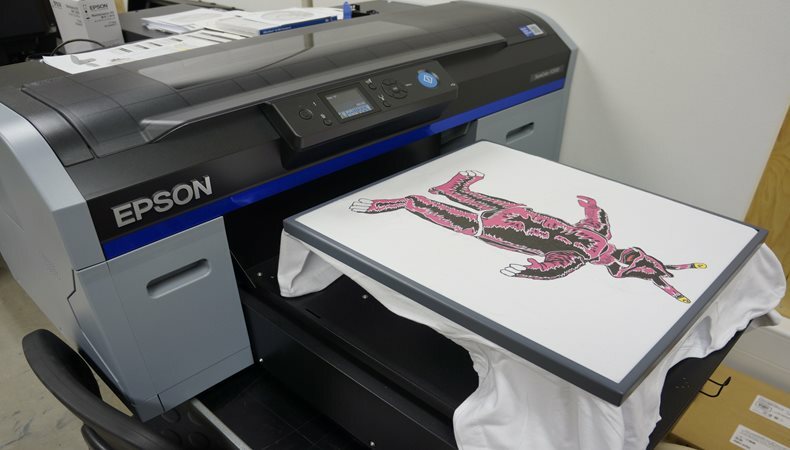 Epson and well-known arts and design college Central Saint Martins have collaborated to support education and to encourage students to experiment with its large format digital textile printers. Currently, Epson has a very successful relationship with British fashion designer Richard Quinn. Richard is a former MA student at Central Saint Martins and this year won the first Queen Elizabeth II Awards for British Design. He has emphasized the need for students to have access to the latest technology and has demonstrated the vibrant and outstanding results that can be accomplished using Epson’s digital printing technology. The collaboration will allow students from Central Saint Martins who are part of the University of the Arts London, to use 3 new products from Epson. The line-up includes the newest dye sublimation printer (SureColor SC-F9300), a direct-to-garment (DTG) printer (SureColor SC-F2100) and an A3 scanner (Expression 12000XL). Approximately 1,250 students across jewellery, fashion and textiles courses can access the new portfolio of Epson products. Epson plan to work with Central Saint Martins over the next year on a wide range of events including a print project for 2nd Year BA Fashion students and London Fashion Week. Epson will also profile students who have used Epson technology to create their work. Epson already has a long-standing relationship with The Royal Academy Schools and runs design competitions in partnership with Birmingham City University, where it is currently a module of the textiles BA course and the University of Leeds.